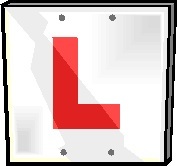 Son on the Run is having driving lessons, and what a learning experience it’s been for both of us. Although he is mercifully careful, I can’t deny we’ve had our moments… like on our first outing, when the automatic gate in an industrial estate unexpectedly began to close in on my little car as SotR struggled to put it into reverse (we escaped just in the nick of time before being crushed in its metallic embrace). The whole experience improved beyond measure, though, when I had a lightbulb moment whilst coxing a few weeks ago. As I called out the commands in confident, encouraging tones (some say I have no need of a cox box), it occurred to me that my skills as a cox (dodgy steering aside) were just what was needed during Son’s early forays into driving. And so began driving instruction, cox-stylee. There’s that special, calm-yet-authoritative voice that you adopt when you’re intent on avoiding a collision (“harder on bow side… that’s right, MUCH harder on bow side right NOW…”) that is perfect for those moments when you’re longing to scream “BRAKE!! !” but don’t want to freak everyone out. There’s that uniquely encouraging tone of voice employed when coxing novices (“Much better, yes, much, MUCH better… just try to keep in time there, two, OK, yes, just get BACK in time, then”) that comes in handy for those just-avoided-a-scrape moments. And there’s a whole host of possibilities in the technical exercises. This week we’re going to try the driving equivalent of pause rowing to get to grips with stop-start driving in slow traffic. Next week we’ll have a go at half-slide driving, changing up from first to second to third and down again.